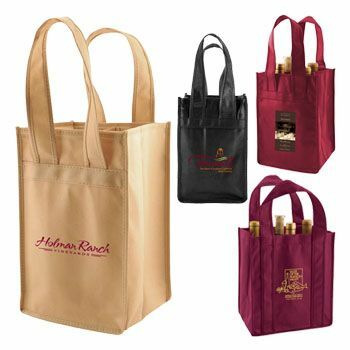 Improve your brand's image by offering your customers these wine totes! Wide imprint area is the perfect size to showcase your custom logo, artwork or design. 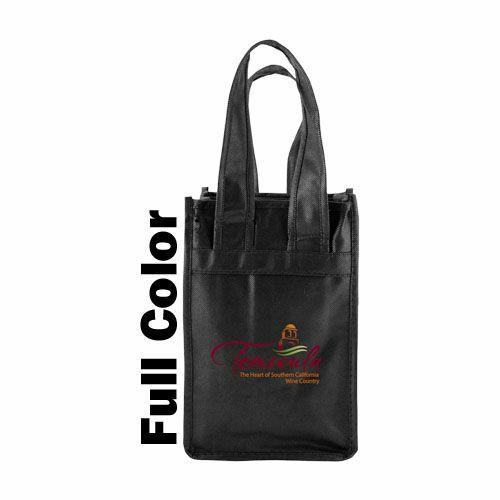 Three different color options allow the perfect palate to accompany your image colors. 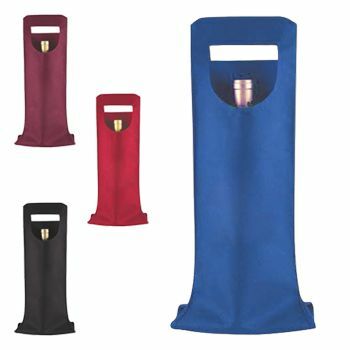 7 X 3.5 X 11"
7 X 7 X 11"
These stylish wine totes are sure to impress any customer! 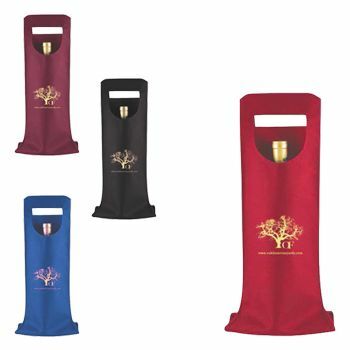 The durable material allows several different sizes of wine bottles to be stored in separate containers by convenient interior dividers. 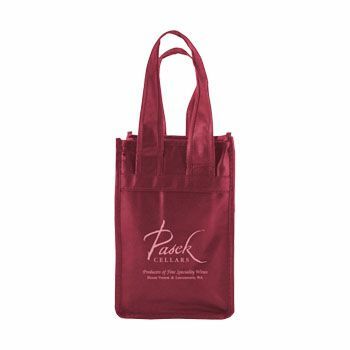 These reusable bags are the perfect solution for wineries and liquor stores to be able to display their brand in style. 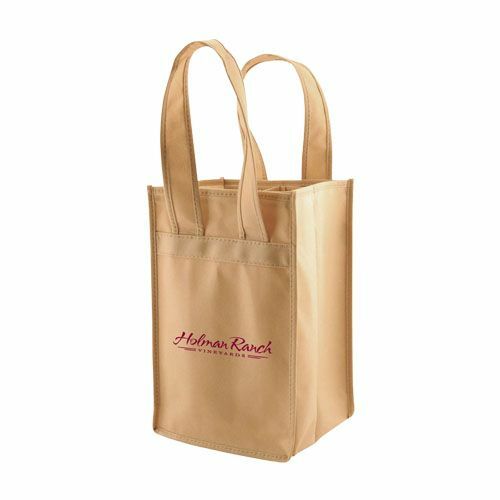 Custom printing options and rush production is available; bags are guaranteed to be delivered on time. Purchase yours today! Made with 100 GSM Non-Woven Polypropylene. 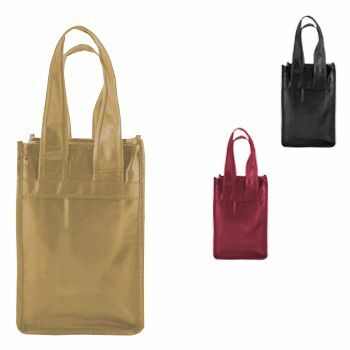 Features 20" handle for easy transport. 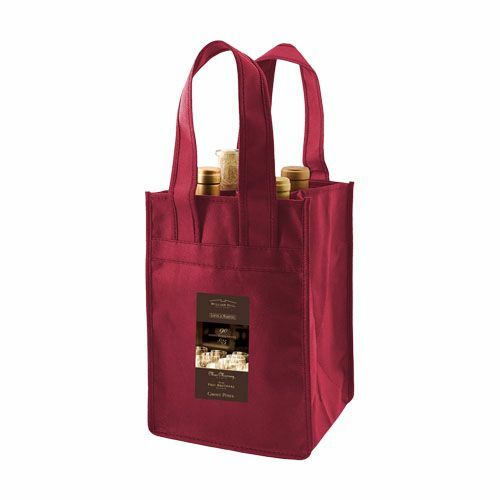 Carries multiple wine bottles of various sizes. Includes convenient interior bottle dividers.